13 :: Sittingbourne Golf Club is known for its challenging and well maintained course, friendly welcome, well stocked Pro Shop and excellent bar and catering facilities. 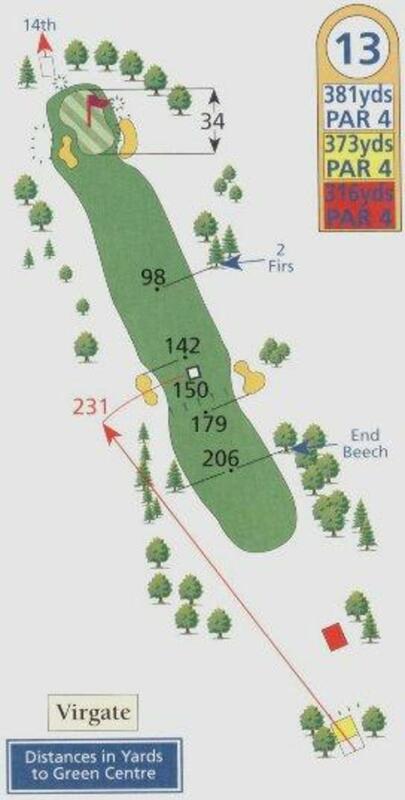 If you can negotiate your way between the two fairway bunkers and leave yourself to the left side of the fairway you will have a clear route through to the flag. The prevailing wind from left to right makes this hole a real test.